Whoever said, “It’s not personal, it’s business,” probably didn’t stay in business long. And there is no keener eye for personal chemistry in the high-powered business world than Ken Rutkowski. His ability to connect executives at exactly the right time is considered almost supernatural. Ken is the founder of METal International, a 1600-member elite member networking group of Media, Entertainment, Technology Alpha Leaders. A member of the TeDx board, and a creator of one of the first podcasts EVER, he’s here to teach you how everything is personal, and how business personalities can mesh with a bang. - Where is radio headed - are we healthy, stable, fading away? - How do the youngest listeners feel about us? Are we losing them? - What really drives listening? Heavy listening? Ratings participants? How do you grow time spent listening? - What impact are pureplay streamers like Pandora and Spotify having on radio listening? How can radio best defend itself from encroachment? - More connected cars hit the road every day; what does this mean for radio? - Radio listening through headphones and earbuds…is this a threat or an opportunity for the industry? - What drives partisanship for Top 40? Hot AC? AC? - What are the latest music trends? Which artists do women love today? - What’s the role of new music? Industry analyst Larry Rosin will present the latest editions of his groundbreaking media research series “The Infinite Dial” which tracks developments in digital media, and “Share of Ear” which measures all audio usage in the U.S., among many other things. Alternate platforms for delivery of broadcasting are, probably, the most important challenge to radio today. This panel will explore those platforms that exist and discuss what other elements that will rock radio’s world that are on the drawing board. However many professionals are involved in a successful broadcast operation, the execution has to be singular and focused. A single person’s vision is usually entwined in the company DNA. Call it leadership, inspiration, motivation, or all of the above. The industry leaders in this panel come by that description naturally. And they’ll share insights into the role their respective leadership styles and management of talent played in their achievements. The market is crowded with competitors trying to be exactly as different as the next guy. But a station with genuine personality can be a magnet for fans of its format and insinuate its identity across the media landscape. This results-oriented panel of station image-shapers knows how to make your station say, “Listen to me!” Listening to them could be a game-changer. The radio business uses social media much differently than many other media platforms. What are the best practices that radio stations can implement to reach their listeners effectively, grow their community, and increase engagement ? Using his experience with radio brands as case studies, Jumpwire Media president Gavin McGarry presents what is working and what the challenges are facing his radio clients around the world. Our annual gathering of consultants and experts, each hosting tables and giving face-to-face advice on the questions you have regarding all aspects of broadcasting. Join your peers for breakfast, advice and chat. This session will show you how to succeed by viewing your station from “the outside,” the same perspective your listeners have. You will learn how listeners use radio to fulfill needs, how listener choose one station over the other and what factors impact those choices. It will also show you the traps that “inside thinkers”—those who view their stations from within the studio walls—often fall into so that you can avoid them in the future. The multitude of devices has brought about a multi-connected life. Between streaming services and twitter news feeds, PokemonGo and Linkedin marketing, what will be the role of radio tomorrow? According to Jonathan Belisle, digital storyteller and inventor of one of the world’s first augmented reality book for families (Wuxia the Fox), the radio of tomorrow will be the soundscape of a multi-screen daily experience where artificial intelligence and smart objects will allow for stories to be more meaningful for the audience. The radio industry is about to be profoundly disrupted by a tidal wave of new platforms. Are you ready for it? This will change the way we experience music and connect with artists at a social level and it will be of a magnitude that goes much further than Napster and streaming services. From Shazam to Instagram and from Snapchat to chatbots, Belisle's in-depth analysis of the potential and limits of today’s technologies, has taught him that storytelling will soon be deeply impacted by data feeds from intelligent machines that will track our every movements and compile all our interests to influence our daily listening habits. As the best way to predict the future is to invent it, he has harnessed tools like Google’s AI to create mixed-reality experiences that take audiences from a state of passive listening to a state of active engagement. That’s why he believes that tomorrow's multi-connected life has already started today. 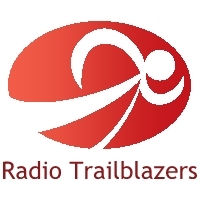 Is it possible to travel around the world and still produce award winning radio commercials? According to Danish radio veteran and author Palle Bo it is. In fact he thinks that meeting new cultures, tasting different foods and talking to people from far away countries are some of the things that sparks his inspiration. At the age of 50 Palle Bo made a bold decision: he sold his house, his car and his furniture and set out as a full-time ‘Radio Vagabond’ with a quest to visit every country in the world, documenting everything in a podcast. Listen to some of the stories from the first 9 months visiting the first 30 countries and territories, get his view on podcasting and what makes a great radio spot. He also shares his thoughts on how you can apply this way of sparking your own creativity – even without being quite so drastic. What glass ceiling? Denise Donlon’s trajectory has been forever skyward – from MuchMusic veejay to record label president to CBC Radio executive director to Member of the Order of Canada. In her acclaimed, witty and inspirational autobiography Fearless As Possible (Under The Circumstances), she puts her amazing career in perspective without false modesty. Stories and life lessons… she’s got them. And she’s sharing them.